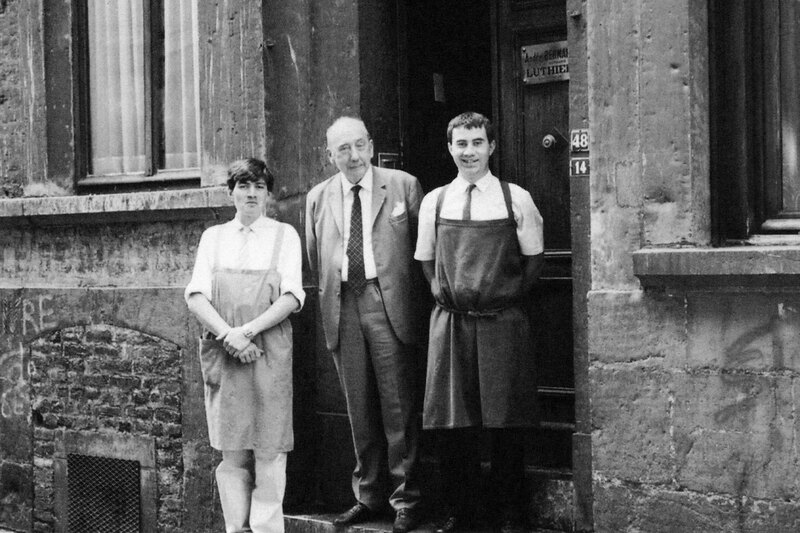 Maison Bernard welcomes you by appointment. 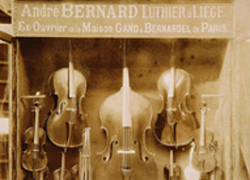 Since 1868, Maison Bernard has been attending upon a wide clientele of professional musicians and amateurs of fine bowed instruments. 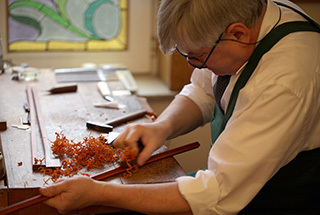 Violin maker Jan Strick and Bow maker Pierre Guillaume, both appointed experts to the Prosecutor’s Office in Brussels, have been running together the oldest lutherie workshop in Europe. 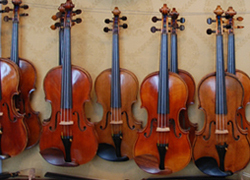 Settled in Brussels since 1986, they offer a constantly renewed, extensive and unique collection of violins, violas and cellos and their bows. 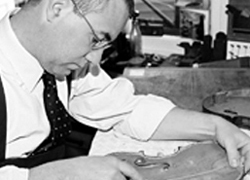 Jan Strick and Pierre Guillaume have earned the trust of important foundations worldwide, of collectors and some of the greatest solists who enjoy visiting their workshop. 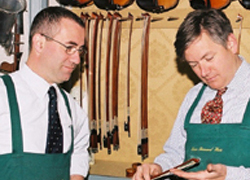 With over 40 years of experience, expert violin maker Jan Strick provides advice on Italian, Flemish and French lutherie. Jan Strick is regularly inited as a guest speaker at conferences or member of jury at international competitions. 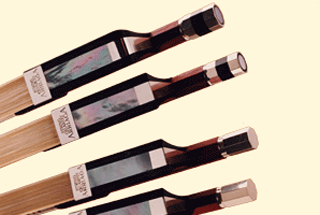 He is a member of the International association of violin and bow makers, whom he also presided. 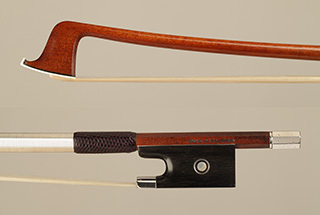 Passionate about fine bows, Pierre Guillaume today enjoys an unequalled reputation as expert and maker, wich he owes to his conscientious and meticulous approuch to work. 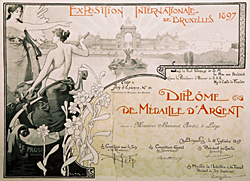 His authentication certificates are internationally recognised. 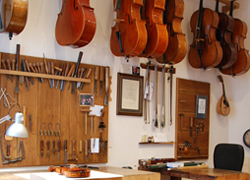 Settled in Brussels since 1986, they offer a constantly renewed, extensive and unique collection of violins, violas and cellos and their bows. Jan Strick and Pierre Guillaume have earned the trust of important foundations worldwide, of collectors and some of the greatest solists who enjoy visiting their workshop. For any question or specific request, do not hesitate to fill this form, we will answer you without delay.